A few days ago, it was located at the junction of Mugang Town, Yangxin County, the easternmost part of Hubei Province, and Mucheng Town, Ruichang City, Jiangxi Province, at the junction of Muhang-Bianshan Line, Fenglin Town, and Henglishan Township of Ruichang City. Four provincial highways, including the Longyan Line at the junction of Yanggang Town and Ruicheng City in Ruichang City, and Chaoyang and Yanggang to Shimo, passed acceptance inspections. Similarly, the transportation departments of Laifeng in Hubei, Longshan in Hunan, and Shenyang in Chongqing reached an agreement to accelerate the connection of traffic in accordance with the principle of â€œwith the same standards, the same scale, and the same constructionâ€ and join hands to create Wulingshan regional transportation hub. According to the agreement, Laifeng and Longshan counties will work together to plan the construction of seven trans-provincial bridges over the Qinshui River and jointly build a large-scale circulation corridor with a total length of 385 kilometers and connecting 25 townships along the periphery of the Longfeng demonstration area to realize highways. "Seamless". Laifeng and Xiangyang Transportation Department agreed to implement the reconstruction and expansion project of Laifeng-Xiangyang Xinglong Orange Woods Garden Road on the basis of secondary road standards; to connect Laifeng PFAFF Xincao Valley to Fuyang Wufu Grasshopper Gully according to Grade IV and above standards Rural roads. At the same time, Longshan and Xiangyang Transportation Department signed the â€œRegulations on Inter-provincial Highway Planning and Constructionâ€ and will work together on the planning and construction of inter-provincial highways. In recent years, the traffic departments of Laifeng, Longshan, and Xiangyang have established a regular meeting system and information exchange notification sharing mechanism to maintain the long-term effectiveness of communication channels and work platforms, and to connect key projects in real time. At present, the existing â€œbreaking head roadâ€ in the provinceâ€™s existing common national highway has been fully docked. According to the National Highway Network Plan recently released, some ordinary national roads have been added to Hubei Province. State Highway 220 from Zhangguanghe to Yangmeihe Road in Macheng County, State Highway 240 from Xiaolin Town to Eyujie Highway in Suizhou City, Jihong Road from Danjiangkou to 241 State Road, Shihmen Road from Danhongkou in Wuzhou County, and Jupaiping Road from Baiguoshu to Dotoujing Road in Wufeng County and from Juguoping District in 347 State Road More than 400 kilometers of ordinary national roads such as Wuxi-Yong Road, 351 National Road from Bajia Township to Huangshui (Ezhejie) Highway, etc. have all been included in the construction plan. Other grade roads are being further docked. 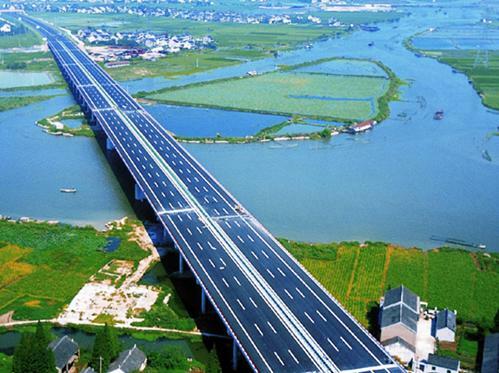 According to briefings, from 2013 to 2015, ordinary highways in Hubei Province will complete investment in fixed assets of 63.9 billion yuan, completing 1577 km of first-class highways, 6,045 km of second-class highways, and 39,000 km of rural highways. Within three years, Hubei will realize the integration of provincial highways and open up all the "broken roads." Next: Will the cell phone battery be identifiable?